Here are a few of my favorite themes I’ve worked on. Check them all of our themes at iThemes. This is a free theme that I put together with Brad Ulrich. 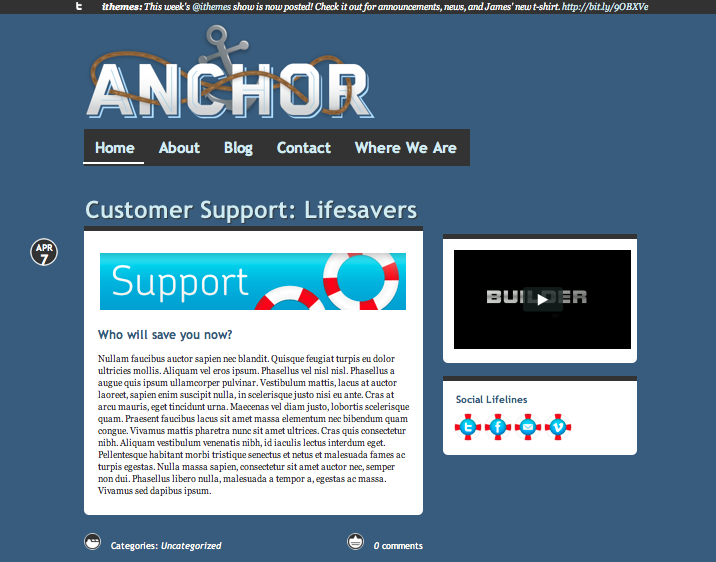 Anchor is m Builder child theme. It has a pretty slick jQuery slider in the nav, as well as a “twitter-getter” in the top bar. Check out the demo here. 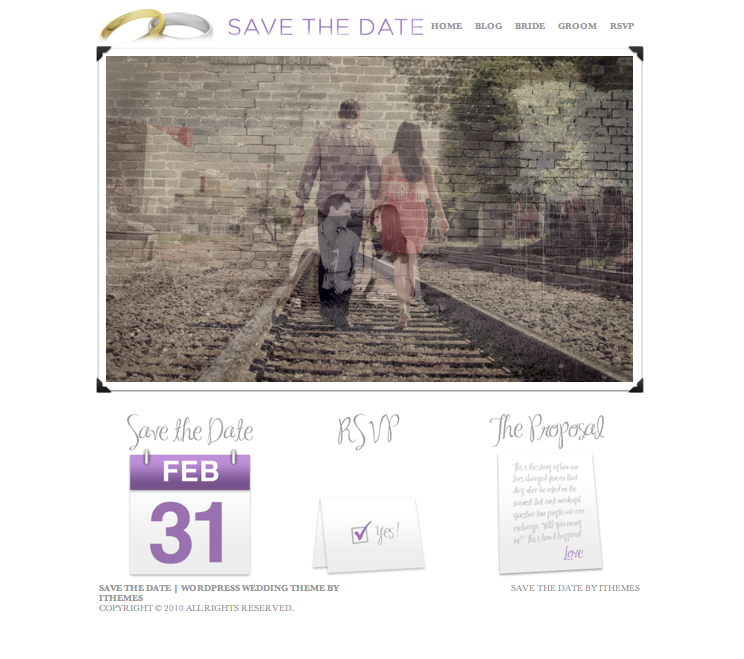 I personally think this is one of the best looking sites that we have at iThemes. Brad Ulrich is responsible for the graphics, and I think he did a great job of keeping it simple. He passed the graphics to me with the vision of keeping it open and simple, and I feel like we did that very well in this case. Check out the demo here.